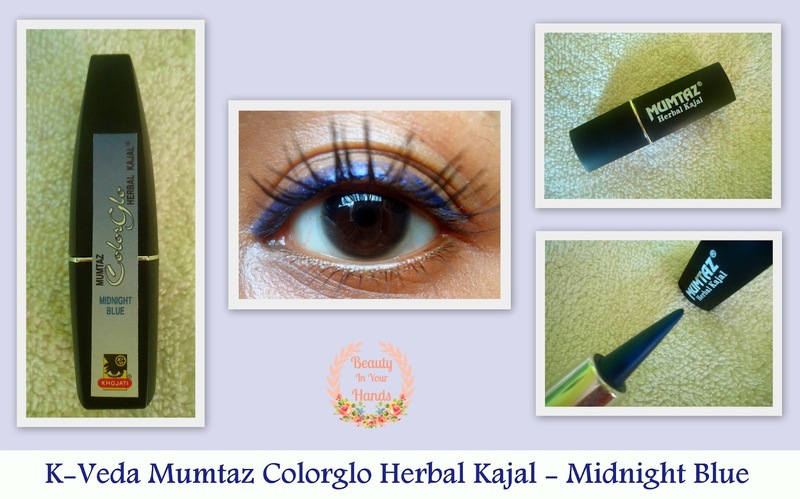 Khojati Mumtaz Colorglo Herbal Kajal comes in a black twist up packaging. The brand sent me two shades i.e. Hawaiin Blue and Midnight Blue for review. Instead of black colour packaging I would have preferred the outer case to have the same colour as that of the shade for easy identification. There is a shade name label though on the bullet. The shade Midnight Blue is more pigmented than Hawaiian Blue but both the shades are beautiful. I need atleast 3-4 swipes to get a decent colour with Hawaiin Blue. As far as Midnight Blue is concerned 2 swipes gives a decent colour payoff. Both the shades lasted about 4 hours on my eyelids and then the colour started fading. This product contains natural ingredients and is safe. 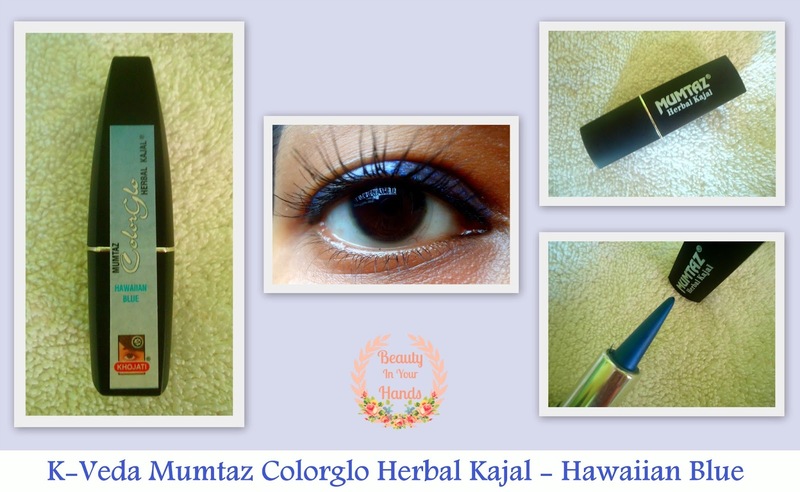 This kajal is available in ten shades. It can be purchased online here. I recently purchased both midnight blue and Hawaiian blue...midnight blue is darker than Hawaiian.i loved to play with colours.staying power is an issue.but apply any powder primer can improve the colour as well as staying..